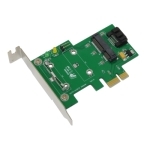 MP3S is passive adapter design for SSD solutionin PCI Express slot on Desktop PC that converts SATA-IO standard mini-SATA(mSATA) SSD to SATA connector on main-board. MP3S can be installed to any PCI Express slot, to any bandwidth (x1, x4, x8, x16), and to any height (Low-Profile and Standard profile). 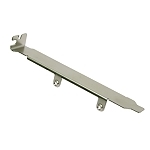 No power cable is required, as mSATA module power is supplied from PCI Express Slot. Power LED and active LED show mSATA module status. Also active LED signal can be wired to other LED form jumper pins optionally. 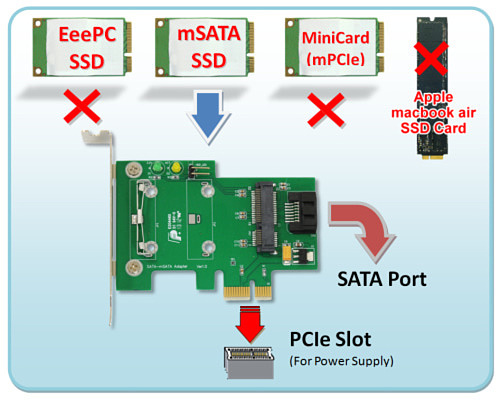 MP3S will allow you to use mSATA SSD card as a hard drive on your SATA motherboard. 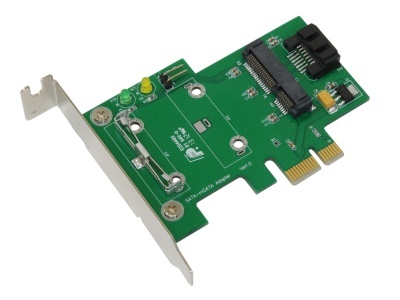 Allows user to use standard SATA-IO mSATA SSD to SATA hard drive in the PCIe slot of Desktop PC. No SATA Power cable required. Desktop PC with PCI Express Slot and SATA port. 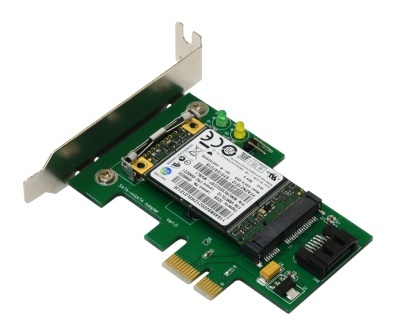 Click the button below to add the MP3S (mSATA to SATA adapter for PCIe Slot) to your wish list.